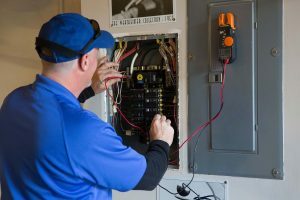 If you are looking for electrical services in Palm Beach County, Florida, you have certainly reached the correct website. 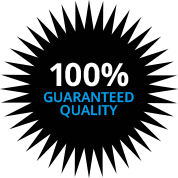 Kasper Electrical is a long-standing local company that has been exceeding the expectations of people in this area for well over three decades, and we continue to build on our track record of excellence each and every day. Living in this tropical environment would be a dream come true for most people who reside elsewhere, and we are very glad to be able to serve its residents. We can provide timely responses to people in Jupiter, Lake Worth, Delray Beach, Boynton Beach, and every portion of Palm Beach proper. Simply put, if you need an electrical contractor in Palm Beach County, Kasper Electric will be ready, willing and able to assist you. We provide a complete slate of electrical services for individual homeowners who reside within our service area. If you are in need of any type of repair, we have you covered, and we also provide all different types of installations, including ceiling fans, light fixtures, surge protectors, and more. Plus, here in Palm Beach County, outdoor lighting is very important because people spend so much time in their yards. The outdoor lighting that we provide can illuminate the way so that people can get around safely, and properly designed landscape lighting can provide a great deal of aesthetic appeal. Another service that we provide for our residential customers is generator installation. It is no secret that we are exposed to severe tropical storms in this area, and it’s better to be safe than sorry. A backup generator can make a world of difference if you ever experience a long-term power outage. Our electrical services also extend into the commercial realm. We can provide maintenance, repairs, and upgrades for all different types of businesses, and our outdoor lighting and landscape lighting expertise can be applied on a large scale. In addition to our work on existing structures, we can be engaged to assist with new construction projects that require the expertise of a licensed commercial electrician. Contact Kasper Electrical Right Now! 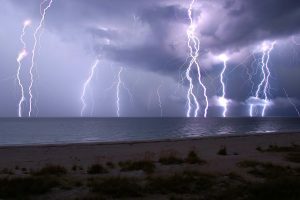 If you need a Palm Beach County, FL home electrician or a licensed electrician who can handle commercial projects of any size or scope, we are standing by to help. You can speak with one of our knowledgeable consultants right now if you give us a call at 561-285-8036.